Qutub Minar is a UNESCO world heritage site in India and one of the amazing places to see in Delhi, Located in Mehrauli, New Delhi. 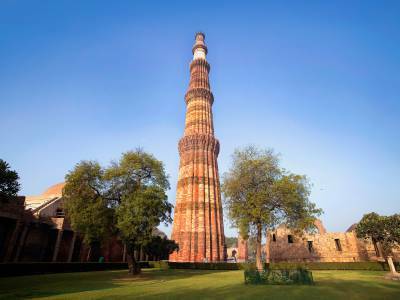 The Qutub Minar, is a towering minaret that is the central part of the Qutab complex. It is a 73 metre tall, five storeyed tapering tower concealing within a spiral staircase of 369 steps that can be accessed to reach the top of the minaret structure. The Qutub Minar named after a Sufi Islamic saint preceding the Mughal Empire, Qutubuddin Bakhtiar Kaki, and is the most iconic landmark that marks the formation and settlement of the Delhi Sultanate in India. The Qutub Minar tower is engineering wonder, from the bottom of the tower to top there are multiple carvings are carved in stones, writings scripted. 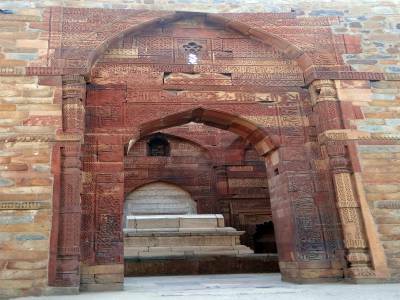 The inscriptions on the red sandstone gave an elevated feel and glimpse of history. 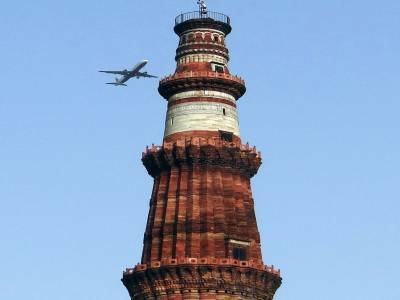 The towering minaret whose construction was started off by its founding patron also known as Qutubuddin Aibak, was finally concluded in its design and construction by Iltutmish, his son in law and successor to the throne. It served as the platform for shouting prayer calls due to its high elevation which ensured the prayer chants would travel to every nook and corner of the city. It is said to be inspired by the Minaret of Jam in Afghanistan and still remains to be a central part of the mosque complex within which it stands. 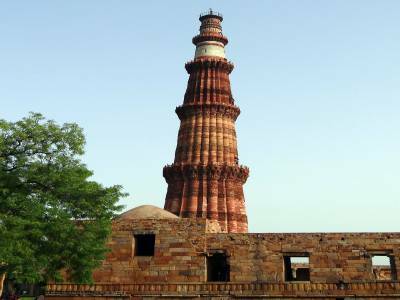 The Qutub Minar suffered damage and breakdown quite a number of times during its tenure due to natural calamities and attacks but it was duly renovated and repaired by every succeeding ruler. The Kutub complex where tourist can find several other structures which resemble the history of India, including the Iron pillar, a rust-resistant iron column that not only attracts tourists but also draws attention of archaeologists and materials scientists. 30 INR (Indians), 500 INR (Others) and free for children up to 15 years of age. 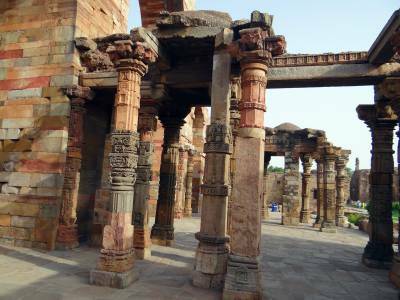 Get quick answers from travelers who visit to Qutub Minar.